Straw Hat Pizza: Coming Soon - Sriracha Sausage! Straw Hat Pizza is excited about the addition of Sriracha Sausage as a topping option. 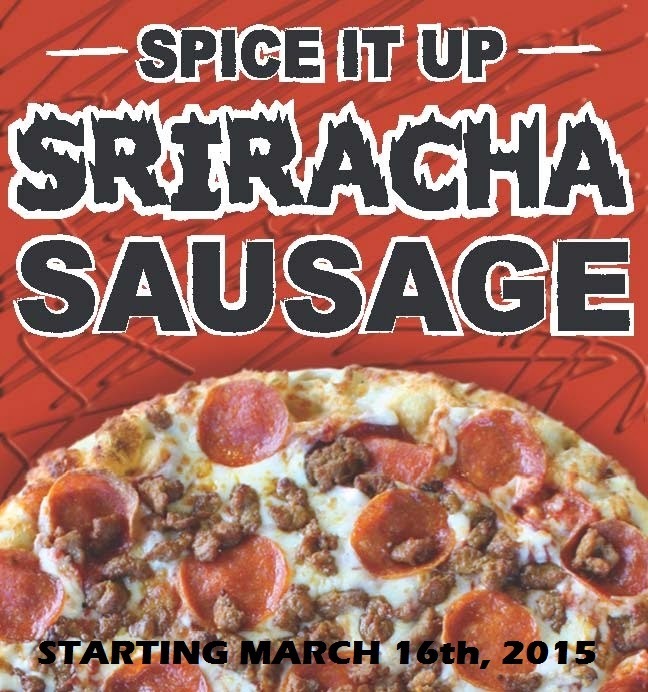 Starting March, 16th, 2015 (at participating locations) customers can spice up their pizzas by adding Sriracha Sausage. This sausage has a mild to medium heat level with a hint of garlic and sweetness. This sausage goes great with Pepperoni or on our "The Works" or "Meat-E-Or" Master Pizzas. Try it for yourself starting on Monday, March 16th!